How effective is your current machinery? Modernize your machinery with ROI. Finding the right tools for your facility is a challenge for a lot of plant managers—lucky for you, ROI is here to help. 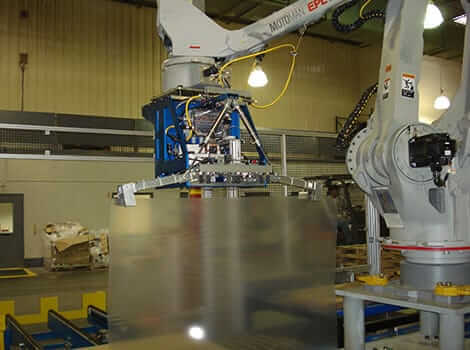 With custom-tailored End of Arm Tooling (EoAT) options, for use in tandem with the PALLETPOD or other equipment we offer, we have a diverse range of tools designed to optimize your processes. ROI carries EoAT products including custom-tailored Layer Grippers, multi-zone Layer Grippers, vacuum grippers, and other options that fit seamlessly with our PALLETPOD product suite. SAS Automation has designed a family of adjustable width bag grippers for palletizing plastic, woven cloth, or paper bags. 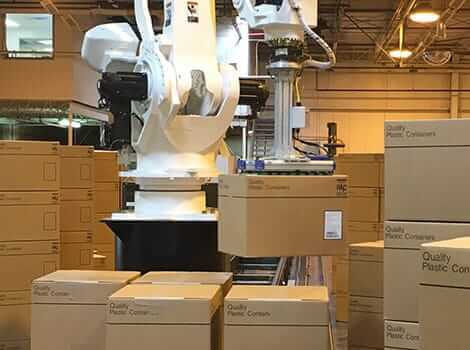 With adjustment times of less than four minutes, the palletizing bag grips are great for precisely aligning bags on pallets, while the top mounted bag clamps maintain bag position on the tool during robot travel to the pallet. Vacuum Grippers allow facilities to implement decisive productivity increases during automated processes. They’re fully-optimized to handle individual workpieces or entire layers, without having to swap out gripper heads. Capable of comprehensive integration into your existing system, they can handle a broad range of loads that you need to sort and palletize. Where Does PALLETPOD Fit In?